Dr. Ziyang Zhou, L.Ac., MD (China) was born into a family of eight generations of Chinese Medical doctors. He started to get training in Chinese medicine during his childhood. Throughout his life, he had the privilege and fortune to study under his late grandfather, Professor Meishing Zhou, who was a famous acupuncturist and the leading authority on moxibustion in China. Dr. Zhou has eight years of medical training in China. He received his medical doctorate in traditional Chinese medicine at Anhui University of Traditional Chinese Medicine (TCM). He went on to earn a Master of Science degree in Acupuncture and Moxibustion from Heilongjiang Academy of TCM in Harbin, Heilongjiang. He was the physician in charge at the Teaching Hospital of Anhui University of TCM, which was the first specialized acupuncture hospital in China. In 1995, Dr. Zhou was invited to the United States by the Chinese Scalp Acupuncture Center in San Francisco, California to conduct research on post-stroke patients and the effects of acupuncture. 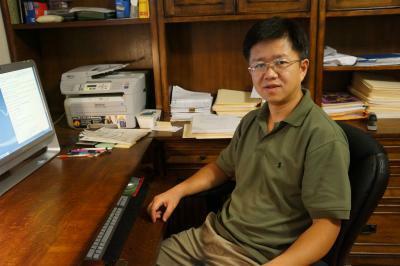 In 1996, he became an instructor and later the clinic director at Texas College of Traditional Chinese Medicine. Since 2001, Dr. Zhou has been conducting his practice at Pine Mountain Chinese Acupuncture and Herbal Clinic. He is also a professor at AOMA Graduate School of Integrative Medicine in Austin, TX, where he teaches Chinese herbology. Dr. Zhou has over 28 years of clinical experience. He has authored many papers, co-authored several TCM books, conducted research for the treatment of diabetes and heart disease through acupuncture treatments and Chinese herbs, and invented various acupuncture and moxibustion equipment. Additionally, he has been awarded many honors for his research, achievements, and inventions.